Measuring a bespoke size of 2.0 x 5.0m, the building is completely tailored to the specific needs of the customer. Designed based on our Blakeney summerhouse, the visible end of the building boasts a traditional, chalet-style aesthetic with double fully-glazed doors and a slight roof overhang for shade in the summer and shelter in the winter. 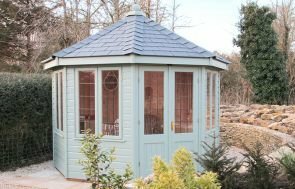 The apex roof is covered with cedar shingles for a natural look and the exterior shiplap cladding with Farrow and Ball’s Studio Green paint. 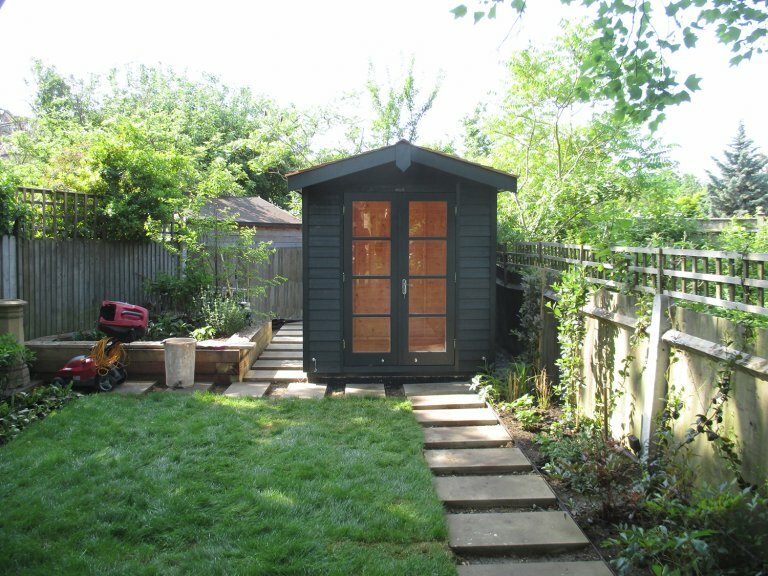 The rear end of the building is separated internally from the summerhouse area, to allow for a storage shed section that is accessed via double doors in the length of the building. The customer also opted to add a security pack to the shed part, which consists of non-returnable screws, a heavy-duty, seven-lever sliding bolt lock and stainless-steel window bars. If you would like to take a look at a vast selection of our buildings for yourself, pay us a visit at your nearest showsite to take a tour of the buildings on display and to speak to a friendly advisor. Locate your nearest showsite here. 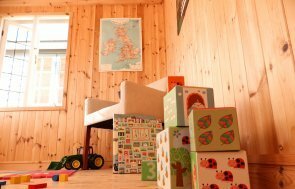 Alternatively, you can get in touch with us to chat with one of our experts about your own ideal building.